At the Country Inn & Suites in Murrells Inlet, we make sure you have the fuel you need to explore the expansive Brookgreen Gardens with our free, hot breakfast, served daily. 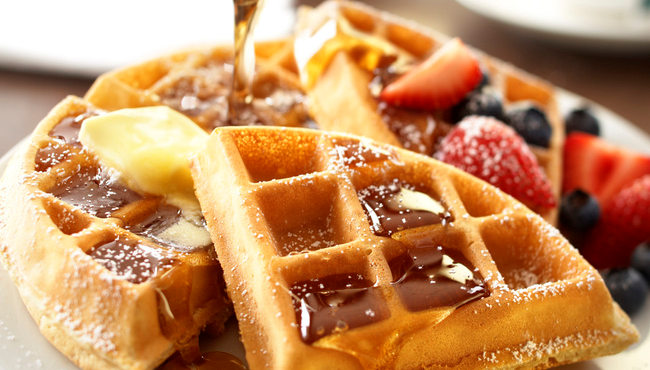 Savor a sweet Belgian waffle slathered with syrup or sink your teeth into a bagel topped with cream cheese. You can also sample eggs or a bowl of cereal. For lunch or dinner, choose from several nearby restaurants, including Cracker Barrel, located within walking distance, and Russell’s Seafood Grill, situated less than three miles away and offering inlet views.